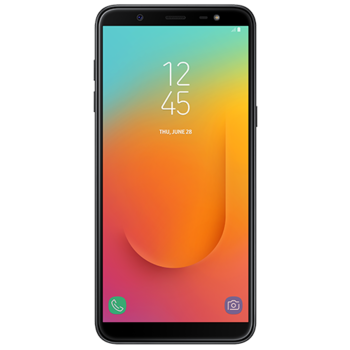 The Samsung Galaxy J8 offers Android 8.0 Oreo and 4GB RAM. Also, the smartphone is equipped with a 1.8 GHz octa-core Snapdragon 450 processor and 64GB storage. On the back, the Galaxy J8 packs a dual camera setup consisting of one 16-megapixel and one 5-megapixel, while in the front is a 16-megapixel snapper with LED flash. Knox 3.1 provides defense-grade mobile protection to avoid potentially harmful privacy breaches. It also allows IT administrators to easily deploy and manage mobile devices remotely. Manage multiple projects with greater performance. Featuring 4GB of RAM, Galaxy J8 helps users keep productivity running at optimal levels when working with intensive programs and complex workloads. Galaxy J8 features up to 64GB of internal memory and 256GB of expandable storage with microSD support to handle large-scale data analysis, documents, and all important files wherever you are. Dual Messenger enables users to easily set up and manage two unique profiles for different purposes on a single device. Users can seamlessly switch back and forth between talking to coworkers and catching up with friends without having to log in and out. 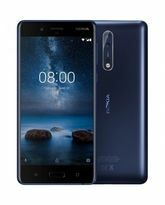 Thanks to its intuitive enhanced gallery functionality Galaxy J8 makes it easier for users to find images according to related business departments. Photographers can track down individual image files by simply tapping assigned categories based on face recognition or location. Smarter content management for greater efficiency. With Samsung Cloud, users can seamlessly sync, restore and backup corporate data to better manage what they need, wherever they need it via their Galaxy device. 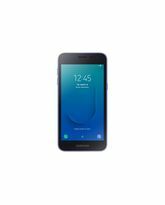 The Samsung Galaxy J8 offers Android 8.0 Oreo and 4GB RAM. Also, the smartphone is equipped with a 1.8 GHz octa-core Snapdragon 450 processor and 64GB storage. On the back, the Galaxy J8 packs a dual camera setup consisting of one 16-megapixel and one 5-megapixel, while in the front is a 16-megapixel snapper with LED flash. 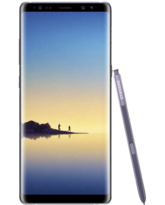 See more on a large display Galaxy J8 is designed with a 6.0” edge-to-edge HD+ screen to allow for a truly immersive experience when viewing high resolution content. It also features an 18.5:9 aspect ratio to make texting and internet browsing far more efficient. Keep security top priority Keep data safe without the added hassle. 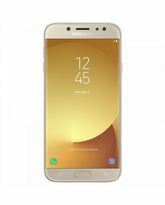 Galaxy J8 features fingerprint scanning and facial recognition authentication to provide seamless mobile access. What’s more, it allows users to unlock their devices or access applications in one simple step rather than having to enter lengthy passwords. Multi-level mobile security Knox 3.1 provides defense-grade mobile protection to avoid potentially harmful privacy breaches. It also allows IT administrators to easily deploy and manage mobile devices remotely. Protection to stay ahead Keep your business safe from prying eyes. Thanks to Secure Folder, Galaxy J8 enables users to create and manage a fully encrypted space on their devices to store confidential company data which only they can access. Enhanced productivity and performance Manage multiple projects with greater performance. Featuring 4GB of RAM, Galaxy J8 helps users keep productivity running at optimal levels when working with intensive programs and complex workloads. Powered to handle more Galaxy J8 features up to 64GB of internal memory and 256GB of expandable storage with microSD support to handle large-scale data analysis, documents, and all important files wherever you are. Simultaneous operation Use two frequently used applications concurrently with ease. Galaxy J8 features Multi Window mode which lets users get tasks done efficiently when need to respond to an email while referencing web page attachments. Also, Its infinity display makes viewing large streams of content much easier. Dual identities to balance life Dual Messenger enables users to easily set up and manage two unique profiles for different purposes on a single device. Users can seamlessly switch back and forth between talking to coworkers and catching up with friends without having to log in and out. Capture accurate image detail Galaxy J8 features dual rear 16MP (F1.7) + 5MP (F1.9) cameras so users can capture true-to-life details. What’s more, its low apertre F1.7 lenses allow for brighter and clearer photos even in low light environments. 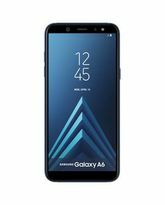 Enhanced gallery functionality Thanks to its intuitive enhanced gallery functionality Galaxy J8 makes it easier for users to find images according to related business departments. Photographers can track down individual image files by simply tapping assigned categories based on face recognition or location. Optimized content management Smarter content management for greater efficiency. With Samsung Cloud, users can seamlessly sync, restore and backup corporate data to better manage what they need, wherever they need it via their Galaxy device.